I’ve been so busy running our Christmas Carol Contest, I totally forgot to run my annual commercial for my books. I hope I haven’t put it off till too late. Anyway, my books make really nice Christmas presents for family and friends. Even better, if you like them, we have ten of them in print by now, with No. 11, The Temptation, coming soon. The series starts with Bell Mountain, and if you haven’t read it yet, now’s a good time to grab it. The adventure begins with two children, Jack and Ellayne, becoming convinced that God has called them to climb a mountain that no one’s ever climbed, and to ring a bell, placed on the summit some 2,000 years ago, that will usher in the end of the world–and they don’t know a professional assassin’s on their trail, whose mission is to stop them. Nor is there anyone to help them along the way but an old hermit who may not be quite sane. All right, it is a little tacky, me advertising my own books; but I don’t know who else is gonna do it. I do know that many of you who visit this blog regularly have already read the whole series. But many of you are new here, so why not check it out? Just click “Books,” and you’ll get all the information you need. In fact, you can order them from right here on the blog. You can buy them direct from the publisher, if you click that little shopping cart icon, or click the amazon/Kindle icon and order them from there. Easy as pie! They’re not in bookstores, though, so you’ve got to buy them online. And now I’ve got to get No. 12, His Mercy Endureth Forever, typed up and sent to Susan before Christmas. 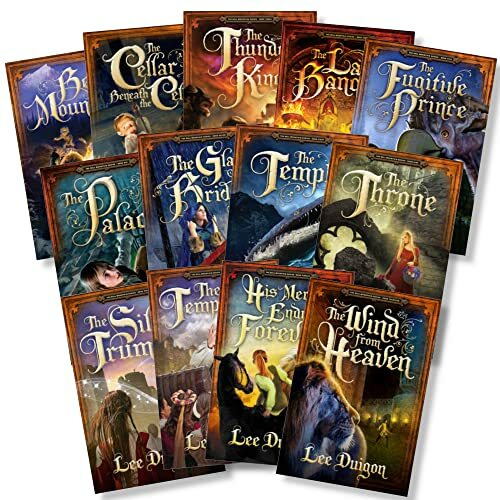 This entry was posted on Wednesday, December 5th, 2018 at 1:19 pm	and tagged with bell mountain, bell mountain series by lee duigon, Christmas 2018, His Mercy Endureth Forever, The Temptation and posted in Book Updates. You can follow any responses to this entry through the RSS 2.0 feed. Once you start, you’ll find it hard to stop.